Looking for a baby comfort blanket with tags or soother? We have a great range from designer brand Aden & Anais. 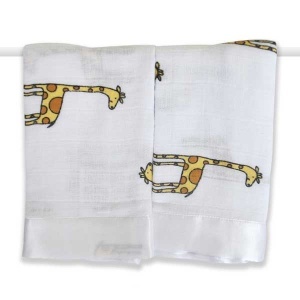 Beautiful soft cotton blankets with a satin fabric edge, these are a great baby security blanket. Our baby comforters are mainly unisex designs so suitable to buy for either a boy or girl. 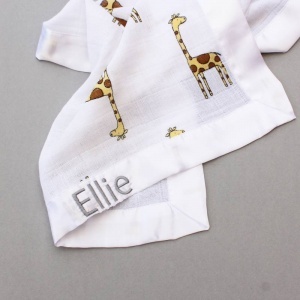 From printed giraffes to monkeys and elephants we have a design to please everyone. Babies love to rub the satin in between their fingers and instantly soothes. A fantastic addition to add to any newborn present and you will be loved for it! Add one to one of our baby hampers, and send it to your loved ones today, for the perfect new baby gift!